The AAPHD Foundation, the charitable arm of the AAPHD, provides support for dental public health education and research. The AAPHD Foundation helps to ensure the future viability of the Dental Public Health Specialty by investing in the next generation of DPH leaders. The AAPHD Foundation through AAPHD is a 501(c)(3) charitable organization. All donations are tax deductible. The AAPHD Foundation's mission is to advance the objectives of the American Association of Public Health Dentistry and the specialty of Dental Public Health. The AAPHD Foundation offers the only national foundation that supports professional education, development, policy, and research in Dental Public Health. 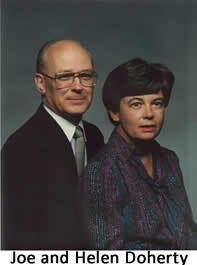 Begun in 1997, the AAPHD Foundation was founded by Helen and Joe Doherty (AAPHD Past President 1987). The Foundation was promoted by Dr. Doherty through a challenge to the members to pledge $1,000 over 5 years to endow a Foundation that would expand the knowledge base of dental public health by supporting research and studies in the field of dental public, to grant scholarships to dental public health professionals seeking advanced degrees in dental public health, to promote activities to increase professional competency in the practice of dental public health and to increase the public's knowledge of the importance of oral health. The AAPHD Foundation is part of a 501(c)(3) organization AAPHD, and has developed dedicated programs that support education and research that further the dental public health profession.